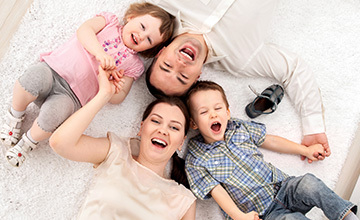 Why is it important to use a rug cleaning specialist to clean your rug? 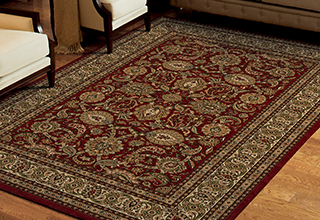 The importance of a rug cleaning specialist to clean your rug is not always easily specified. Is the cleaner formally trained through a recognised body. Does the cleaner specify they clean rugs. Does the cleaner have the ability to clean rugs off site. Do they have a pickup and delivery service. 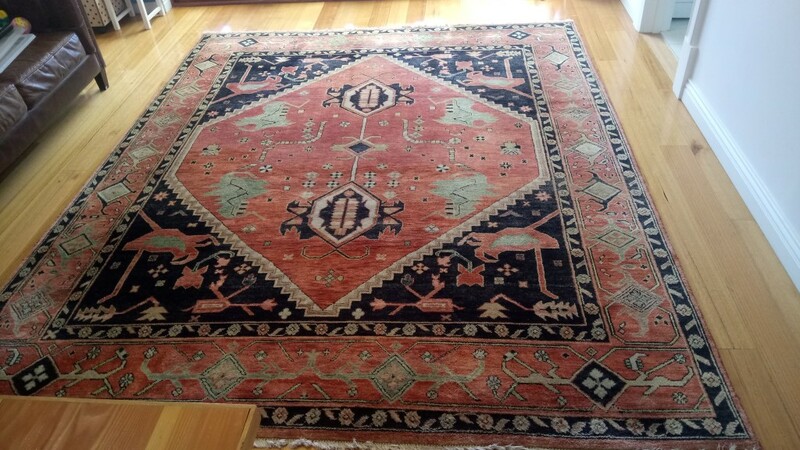 Is the cleaner able to identify if the rug is handmade or machine made. Is the cleaner able to identify what fibre the rug is made of. Does the cleaner test if the rug is colour fast. 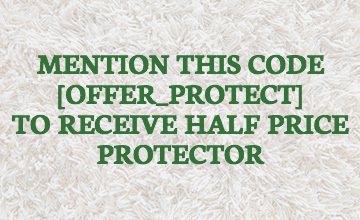 Does the rug cleaner have more than one process to use for cleaning rugs. All these points and more you should take into consideration when you ask a Carpet Cleaner to clean your rug but these are the basic points. A professional cleaner will asses each rug individually and determine the most appropriate process to use on the rug in question. For instance a 100 year old handmade rug that has been dyed using vegetable dyes and is not colour fast should be cleaned using an entirely different process than a machine made synthetic rug. For example this rug is machine made using Polypropylene (Olefin) as the face yarn and can be cleaned using most processes. This rug is hand made using traditional techniques using wool as the face yarn. During initial assessment it was determined that a low moisture cleaning system would be of most benefit for this rug. Rug assessments are often not straight forward and there are many things to consider for the professional rug cleaner. Is it appropriate to clean the rug onsite or does it need to be taken away to provide the most appropriate cleaning technique. What cleaninig process is most appropriate for this rug. At Adelaide Cleaneasy we take all these points and more into consideration when assessing a rug for cleaning whether it is a rug you paid $100 for or a rug that cost many thousands of dollars. It may also be that treasured possession that was handed down from your grand parents that has been well loved over the years and just needs that caring touch to restore it to its former glory. You can be assured all technicians at Adelaide Cleaneasy are trained to the highest standards and are able to handle any cleaning challenges that your rug may provide. If you would like your rug cleaned please give us s call we offer a no obligation free appraisal for your cleaning needs.